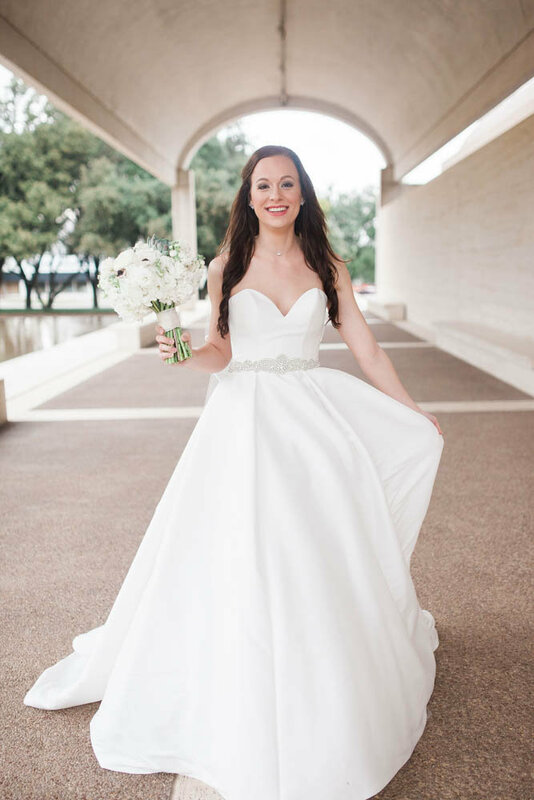 the word that best describes madison's bridal session is: persistence. she was in town for the weekend for her bridal shower/bridal portraits, and it was scheduled to rain all day. we decided to keep her session time, and just hoped for the best! i was driving to our original location in dallas, and it starts pouring. like, can barely see the road type of rain. i call madison, and it's not raining at the location, so we're still going to push through. we get to the venue, and after walking up to the gate, the rain starts. so we huddle under the roof, and pull up the weather radar. it's going to be raining for a good hour, BUT the rain has already finished in fort worth. so we all pile in to our cars, and head to the fort. 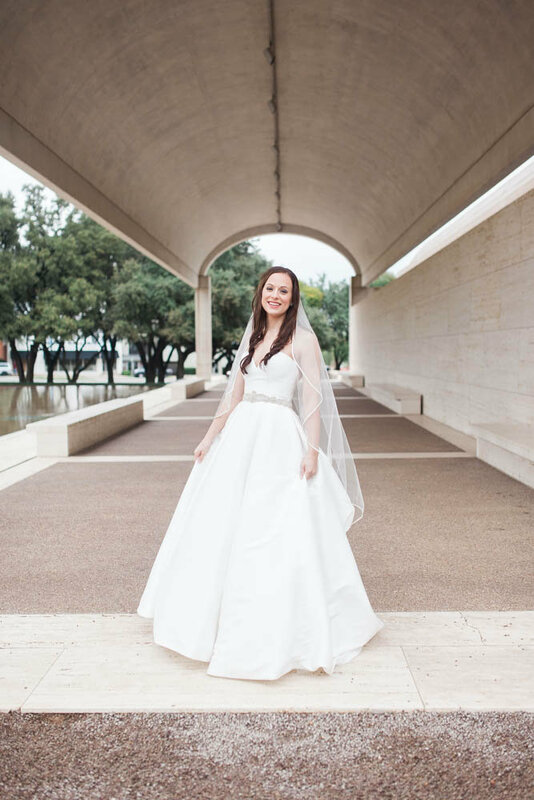 thankfully, the kimball art museum has beautiful grounds, without a lot of grass, so we were able to keep madison dry, and the dress relatively clean!